This elegant baptismal keepsake is made from jade-tinted glass with beveled edges. 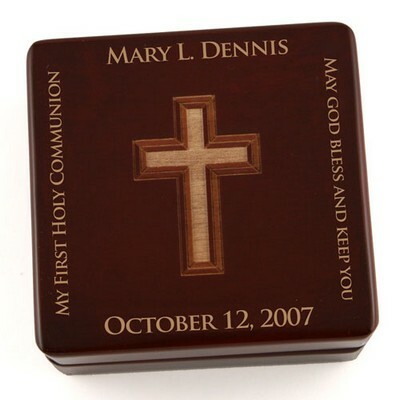 It measures 7" tall by 5" wide and is 3/8" thick and features an unobtrusive stand at the lower edge. 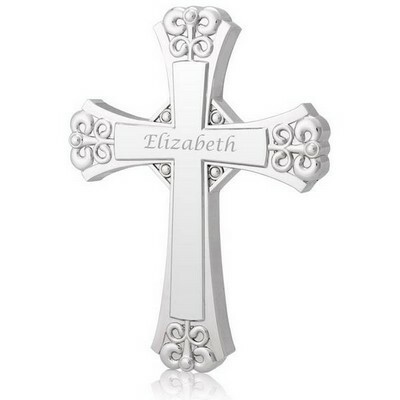 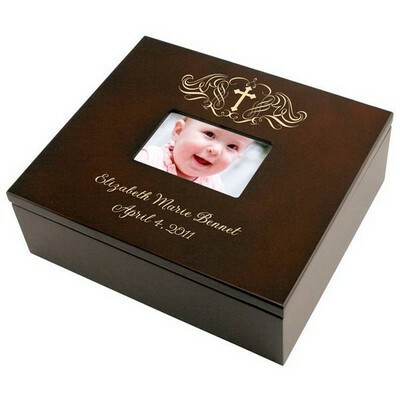 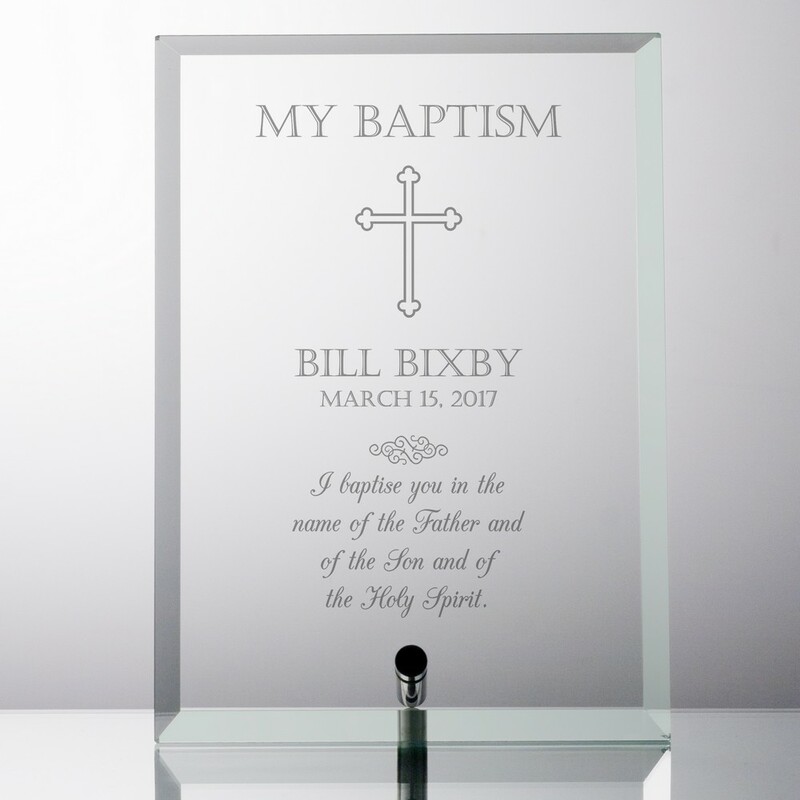 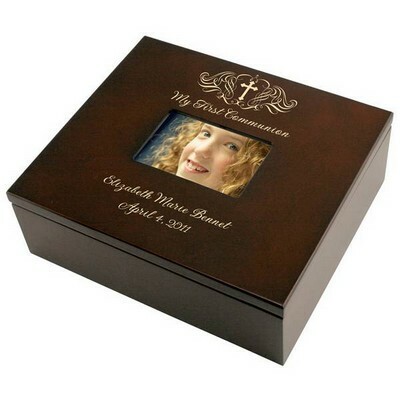 This plaque can be personalized with a name and date just below the cross. 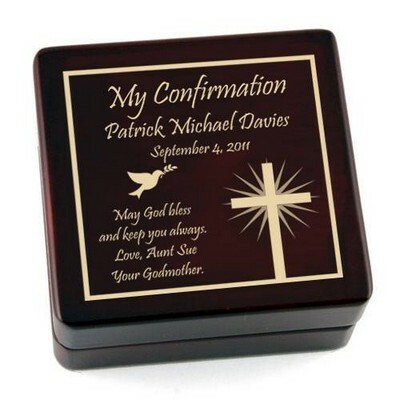 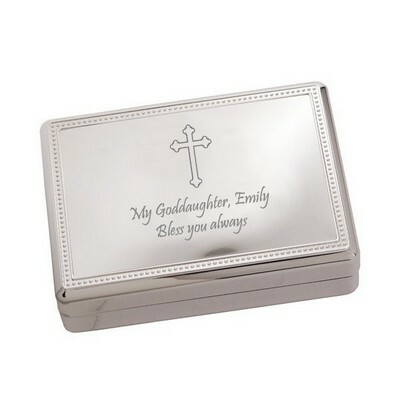 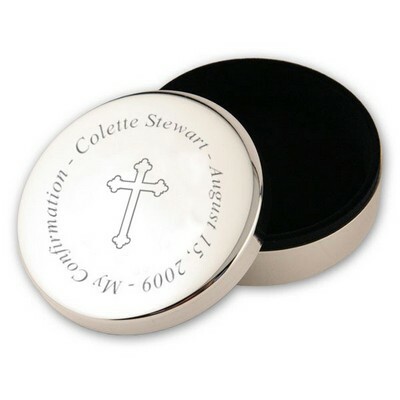 There are an additional four lines available below the decorative flourish to inscribe a customized message such as a personal sentiment, quotation, or bible verse. 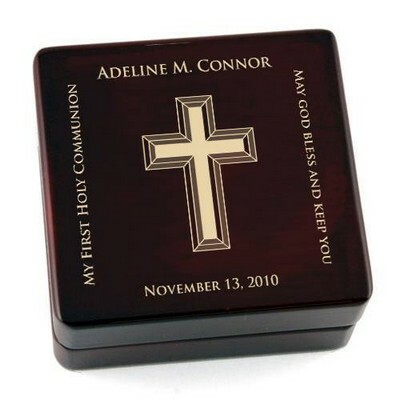 This area is etched using an elegant script while the name and date are created with a distinctive block lettering. 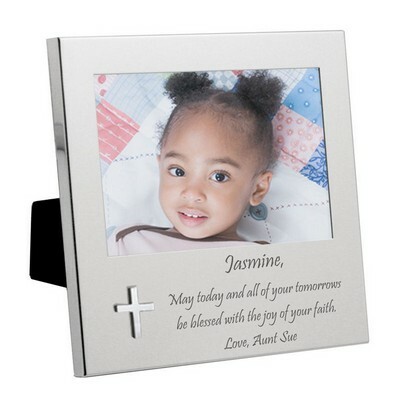 This subtly emotive piece blends easily with many decors and settings.